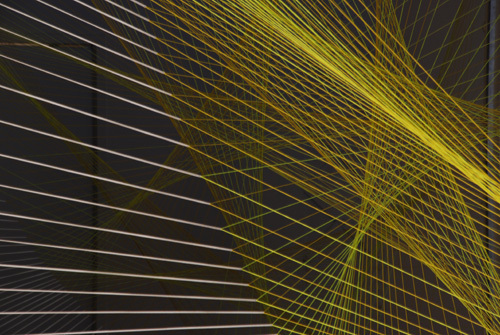 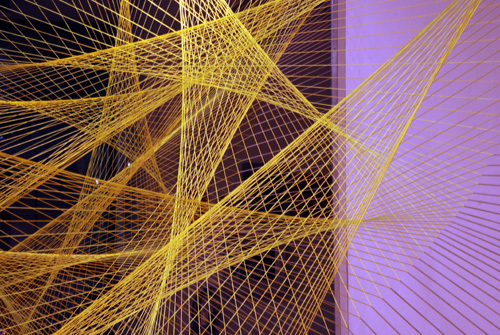 A mathematically scripted, space specific, tensile cable structure. 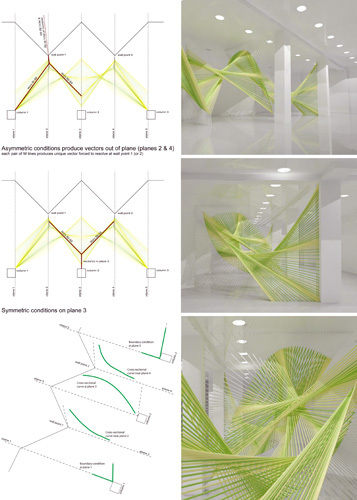 The contemporary parametric formation of 18th & 19th century ships hull lofting methodologies. 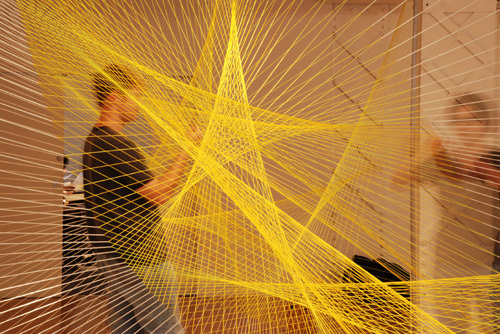 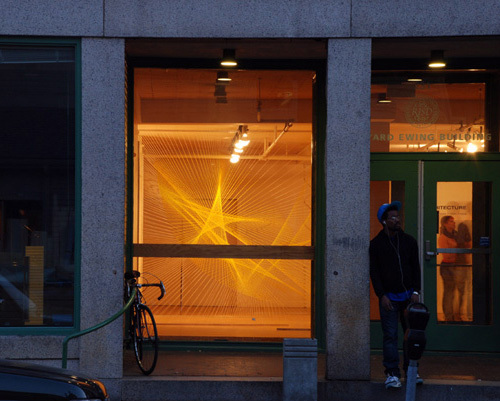 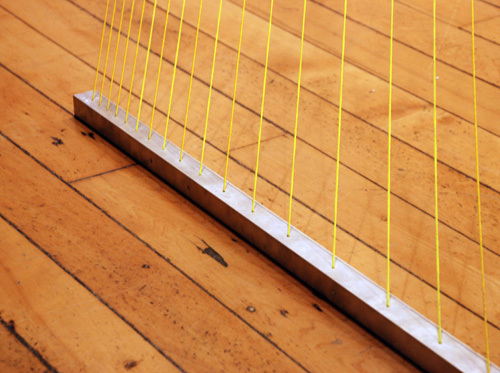 The fabrication and temporary installation of a light, inexpensive, work of string and space in an idiosyncratic space at the Rhode Island School of Design School of Architecture.